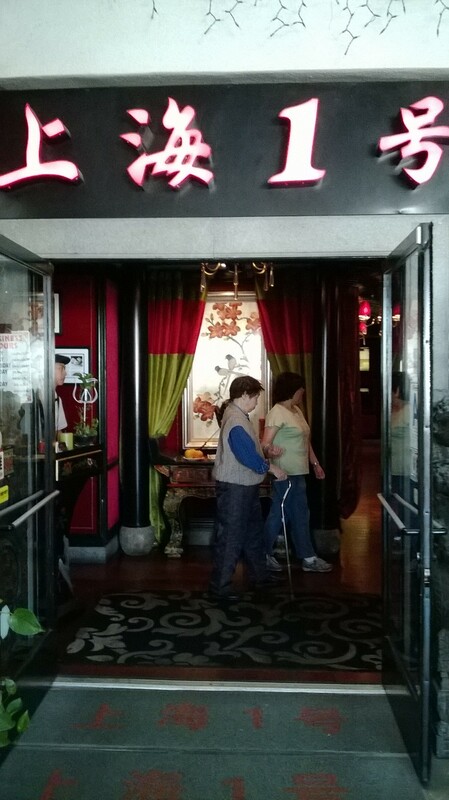 The first time I had lunch at Shanghai No 1 restaurant was a few months after it opened more than two years ago. I have been wanting to go back for quite some time, and finally I had the opportunity to do so this week. 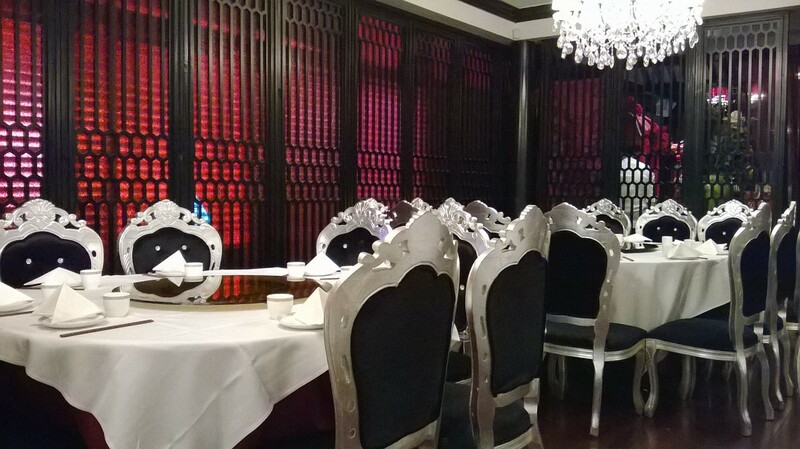 I really like the inside decor, with its dark rosewood furnishings and crushed red velvet covering the walls. There are large sparkling chandeliers hanging all over the dining rooms. The hostess was even wearing the traditional Cheongsam (a one-piece Chinese dress). One did, for a moment, feel that one was brought back in time to the old Shanghai. 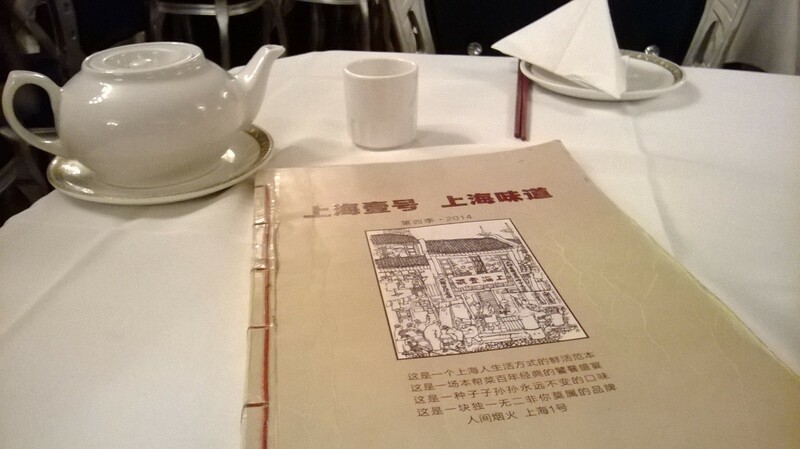 The menu is certainly the largest (in physical size) that I have ever encountered. 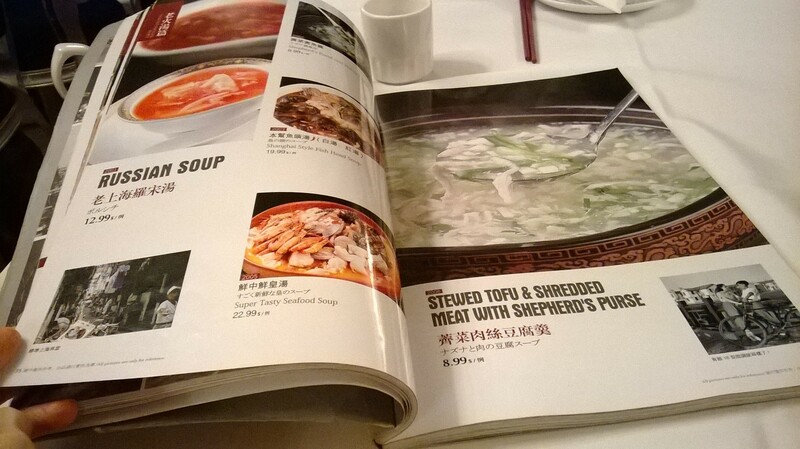 It is a huge booklet with photos of their dishes and photo essays of Shanghai and related subjects. It was fun just looking through the whole menu even though it took a while. The Jasmine Tea that I ordered tasted especially good. 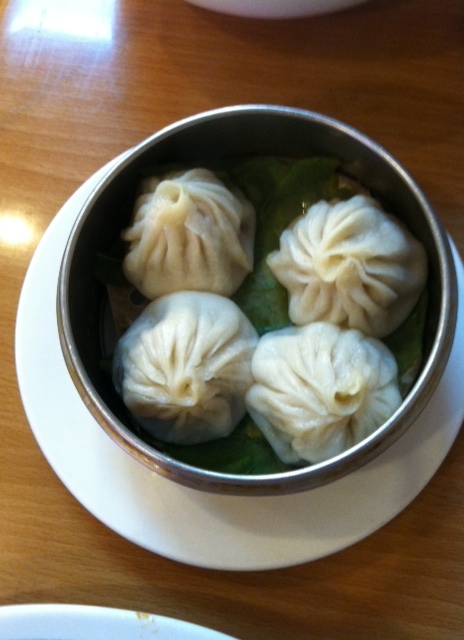 We ordered Xiao Long Bao, Pan-Fried Pork Buns, Shanghai Pork Ribs, Choy Sum in Broth, Stir-Fried Rice Cake with Vegetable, and Salted Egg Custard Steamed Bun. We asked for the dishes to be less salty and less oily, and both the vegetables and the rice cakes were exactly that and were extremely well executed. 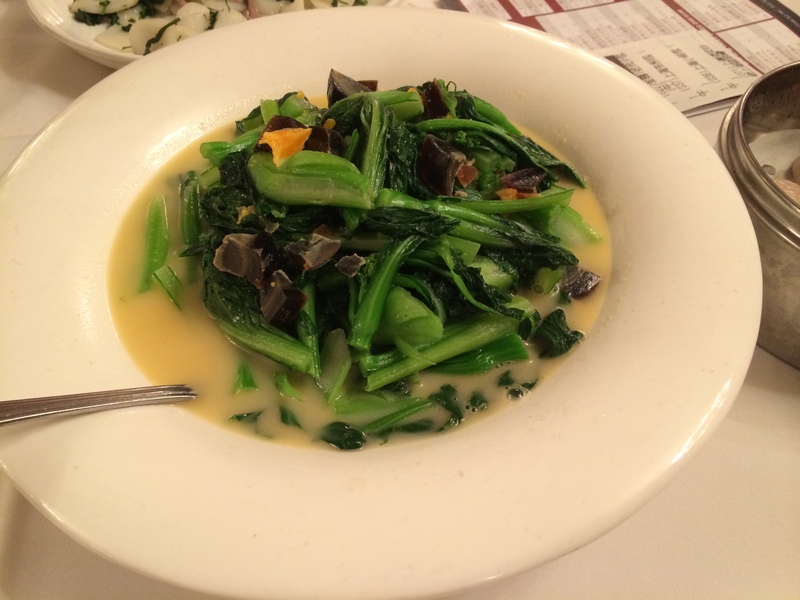 My favorite was the Choy Sum in Broth, it was a huge platter of tender choy sum with chunks of thousand-year-old egg and duck egg yolk on top. With the prices of vegetables these days, it was a bargain at $8.99. 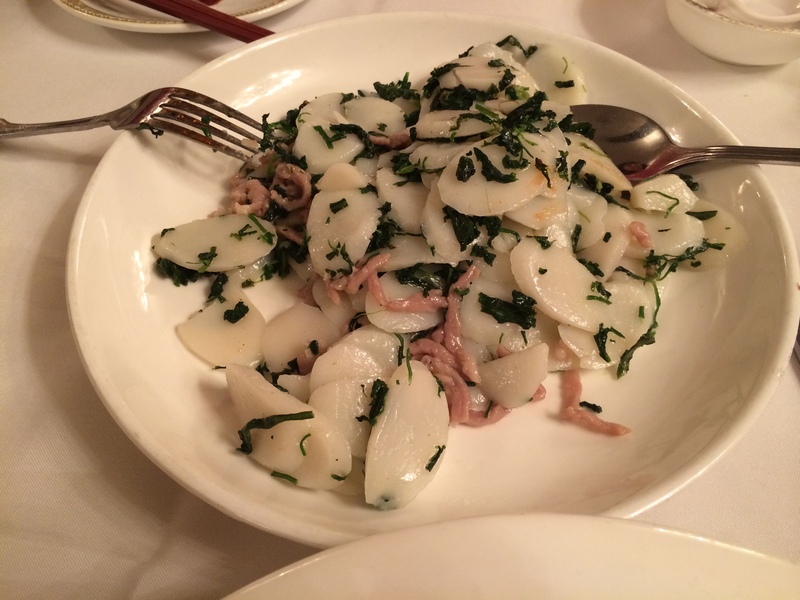 The Stir-fried Rice Cake was probably the best that I had tried. It was not greasy at all. The rice cake was perfectly cooked, not charred nor even brown the least bit. The flavor was mild but accented harmoniously with the shredded pork and the dark green vegetables. 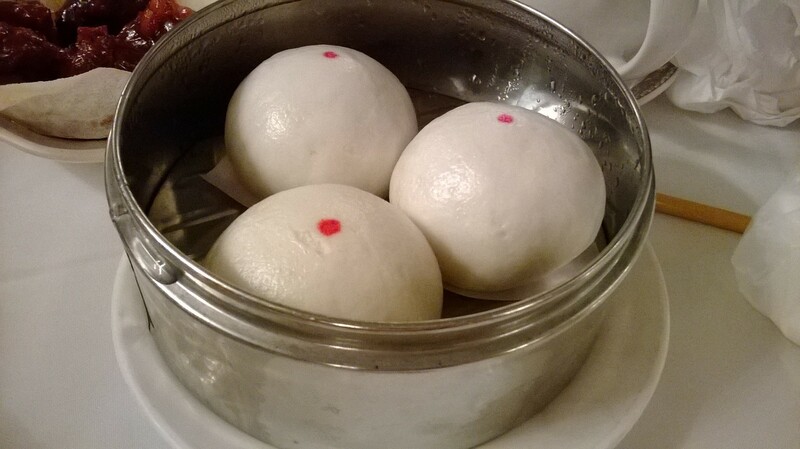 I enjoyed the Pan-Fried Pork Buns, juicy and flavorful inside, with top portion of the bun soft and slightly chewy, and the bottom part crispy. 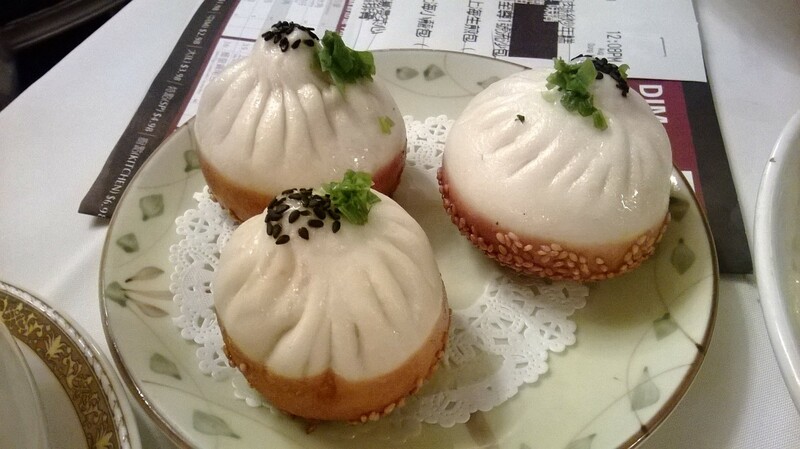 The Salted Egg Custard Steamed Bun had a delicious runny center that was luscious and rich. I brought home a Cheong Fun (steamed rice noodle with shrimp and sweet peas) for my son, he said it was probably one of the best that he had ever tried. This was no doubt one of the more enjoyable and satisfying lunch that I’ve had in a long time, and I can’t wait to go back and try some more of their lunch special dishes and Dim Sum. yes, the food was not greasy.